If you are doing online business, you already know how significant Facebook Advertising is. And if you don't know, then you are missing something very important! So, how do you make the best use of Facebook Ads? The answer is very simple – run some ads on Facebook, right? Well, trust me, my friend! It's not that easy. Running or creating ads is easy, but the main thing that brings success is targeting the right people. 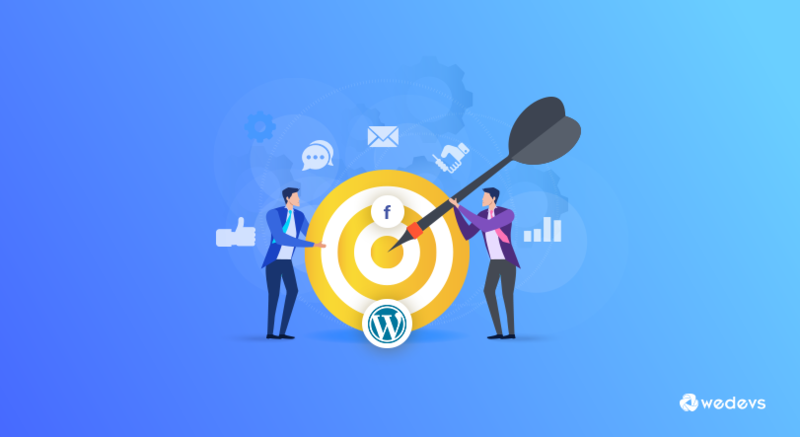 In today's blog, we will show you how you can target the right people for your WooCommerce store on Facebook. Facebook has its own pixel feature that allows you to collect behavioral data of customers and use them while creating ads. It is simply a piece of code that drops cookies to track visitors on your website so that you can reconnect with them later and show your advertisements. As you may already know, this is called retargeting. When you show something to a person that they are interested about and has already seen them before, it is more like to convince them to buy that product or service. As a marketer and also a business owner, you must know – how your visitors, users, and customers are interacting with your website. If you can feed this data to Facebook, targeting those people over the social media becomes easier. This means you can let Facebook know which people you want to show your targeted advertisements. If you can deliver the right message to the right people, the chances are high that they will buy from you! So, how can you do that for your WooCommerce store? You will need a powerful tool that can track different important events in your store and send that data directly via your Facebook Pixel to the Ad platform. What if I told you that you can get such tool for Free! WooCommerce Conversion Tracking, a free WordPress plugin, allows you to track and send Conversion data of your store to Facebook. Let's find out how. As you already know, WooCommerce Conversion Tracking is FREE, you can download and install it anytime you want from WordPress.org. Simply, go through your Add Plugins page, search for ‘WooCommerce Conversion Tracking' and hit the install button. Finally, activate it. WooCommerce Conversion Tracking support 3 ad platforms in the Free version including Facebook, Twitter, and Google Adwords. If you want support for retargeting platforms like Perfect Audience, you can consider the Pro version. WordPress Admin Dashboard → WooCommerce→ WooCommerce Conversion Tracking. Now, click on the toggle button beside Facebook under Integration Settings. If you have already created and have your Facebook Pixel ID, simply put that in the Pixel ID field. To create a new one visit this link. And click on the Create a Pixel button. Facebook will ask you to put a name of your Pixel and then create an ID for you. You will see a page asking to install Facebook Pixel code to your site. You don't need to follow all these steps. Hit the cancel button. Now, copy the Facebook Pixel ID under your Pixel name. The following screenshot show where you can find it. Now, paste it into your WooCommerce Conversion Tracking Facebook integration settings page. Please note that WooCommerce Conversion Tracking allows you to integrate with Facebook for free and also gives some basic events to track. If you need advanced and more specific events, you will need the premium version. 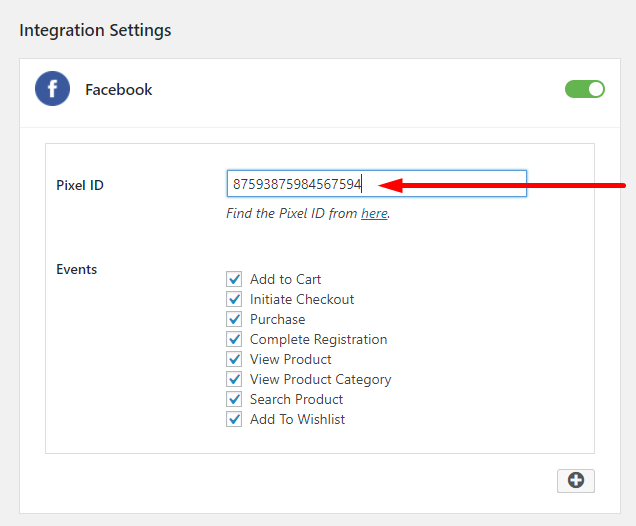 You will find available events on the settings page of WooCommerce Conversion Tracking, just below where you have put your Facebook Pixel ID. Simply, check the events you want to track and it will start tracking them. When a user interacts with your site and triggers any of these conversion events, WooCommerce Conversion Tracking will send that data to Facebook Ad Platform. How Does the Conversion Tracking Work? 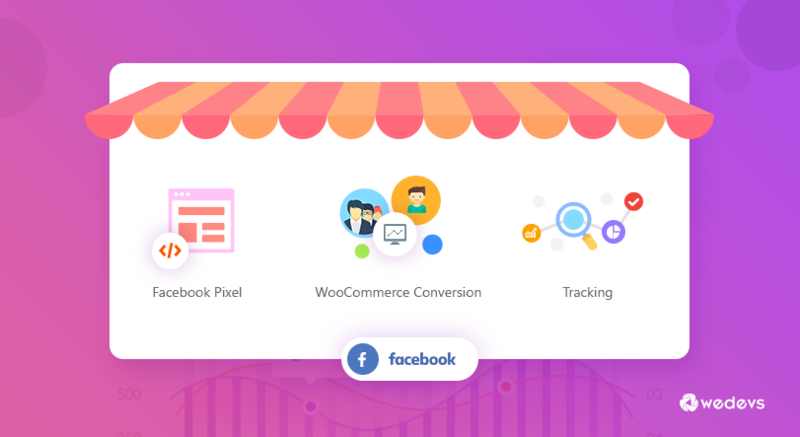 Now that you have successfully added the Facebook Pixel ID to your WooCommerce store using WooCommerce Conversion Tracking and started sending conversion data to Facebook. WooCommerce Conversion Tracking will send that specific data to your Facebook Ad account. This way you will be able to track some users on Facebook and curate targeted ads just for them. This is how you will view the conversion or events data on your Facebook Ads platform. You can also view the details activity list or data that WooCommerce Conversion Tracking has passed to Facebook. To learn more about the Conversion Events for Facebook, you can read this doc. You might still be confused about what to do with this data. Don't worry, when you have enough conversion data, you can use them for retargeting. While creating your Facebook Ad, you will be able to select target audience using this valuable data. Simply install WooCommerce Conversion Tracking plugin and choose suitable events. Start receiving the free conversion data and create your Facebook retargeting ads curated just for your WooCommerce store! Want more data for highly curated Ads? Very useful, tks. I have a question, ¿If after the pixel has installed i create a new product , the pixel is installed automatically on the new product page? Thanks for your comment. The answer to your question is Yes. It will automatically track the new products. stupid question, but what’s the difference between using this tool and normal setup of the pixel on the website? I can still track conversion without this plugin, what are the benefits? WooCommerce Conversion Tracking is specially developed for WooCommerce. You can link your WooCommerce store with your Facebook Pixel easily without adding any script or code. Besides that, it can track all the important events that happen in your WooCommerce store. If you have coding knowledge, you can manually do that. But this plugin will let you do all these without any coding at all.